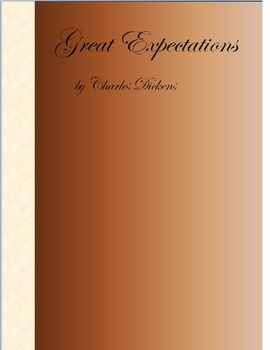 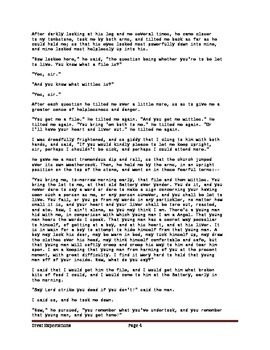 This is a Microsoft Word document containing the text of Great Expectations by Charles Dickens, 1867 edition. 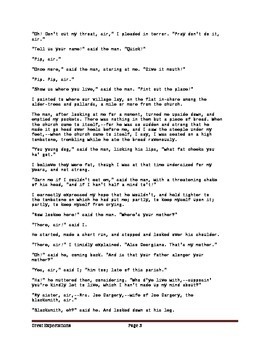 This is a text that is in the Public Domain. 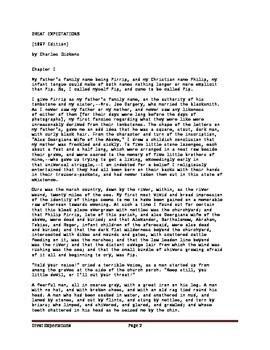 This document will allow you to download, print, use, change fonts or backgrounds without hesitation.